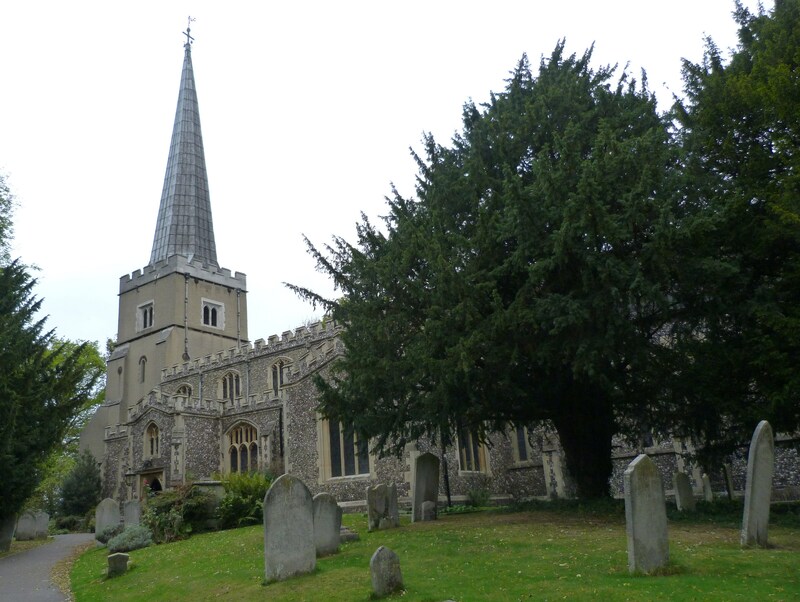 Harrow ultimately takes its name from the Old English hearg, meaning place of heathen worship. It was first referred to, in a Saxon Charter of 767, as “Gumeninga hergae”, meaning Gumen’s such. In the Charter, Offa, King of Mercia, granted to Stidberht, Bishop of St Albans, some 16000 acres of land lying between “Gumeninga Hergae” and Lidding Brook (?Kenton). In 801, Offa’s successor Cenwulf confirmed the grant, but he later reclaimed the land for himself. On Cenwulf’s death, the land passed to his son Kenelm; and after he, Kenelm, was murdered by his half-sister Cwoenthryth, it passed to her. But in 825, the Council of Colvesho compelled Cwoenthryth to surrender the land to the church once more. The Domesday Book of 1086 records that before the Norman Conquest the land was held by Earl Leofwin, and afterwards by Archbishop Lanfranc. 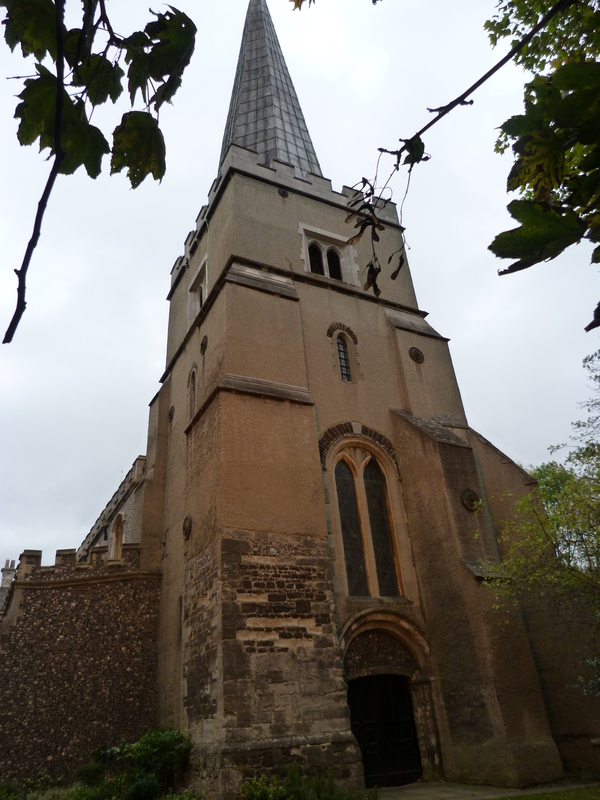 The surviving church of St Mary was built on the land in 1087; Harrow School in 1572. The surrounding borough remained largely rural until the coming of the Metropolitan Railway in the late Victorian period, after which it rapidly became suburbanised. The church of St Mary, atop the Hill, was originally founded by the aforementioned Archbishop of Canterbury, Lanfranc, in 1087, and consecrated by his successor Anselm in 1094 (it was also visited by Thomas Becket a matter of days before his murder in Canterbury Cathedral in 1170). The church was extended through the twelfth to fourteenth centuries; substantially rebuilt in the mid-fifteenth; and restored, by George Gilbert Scott, in 1847. Essentially only the lower part of the tower survives from the eleventh century. Inside the church, the fine Purbeck Marble font probably dates to the twelfth or thirteenth; the memorial to Edmund Flambard, one-time Lord of the Manor, to 1370; and that to John Lyon, the founder of Harrow School, to 1592. Lord Byron, an old boy of Harrow School, penned his poem “Lines written beneath an elm in the churchyard of Harrow” here, in 1807. His illegitimate daughter Allegra was buried here, in 1822. 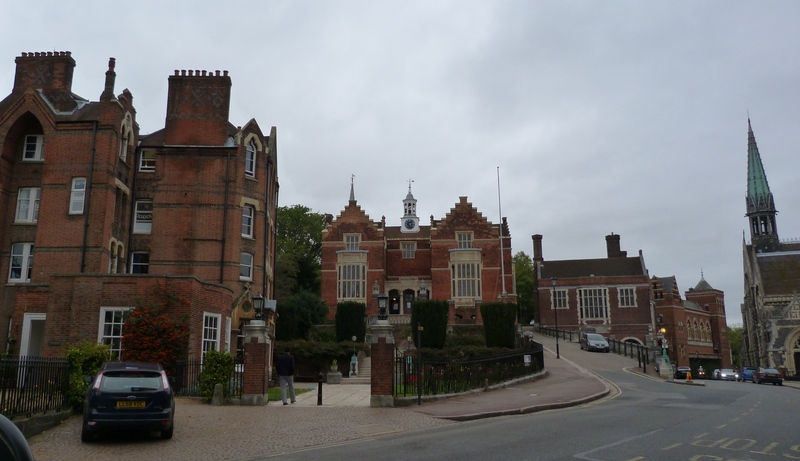 Neighbouring Harrow School was originally founded, by John Lyon, in 1572. 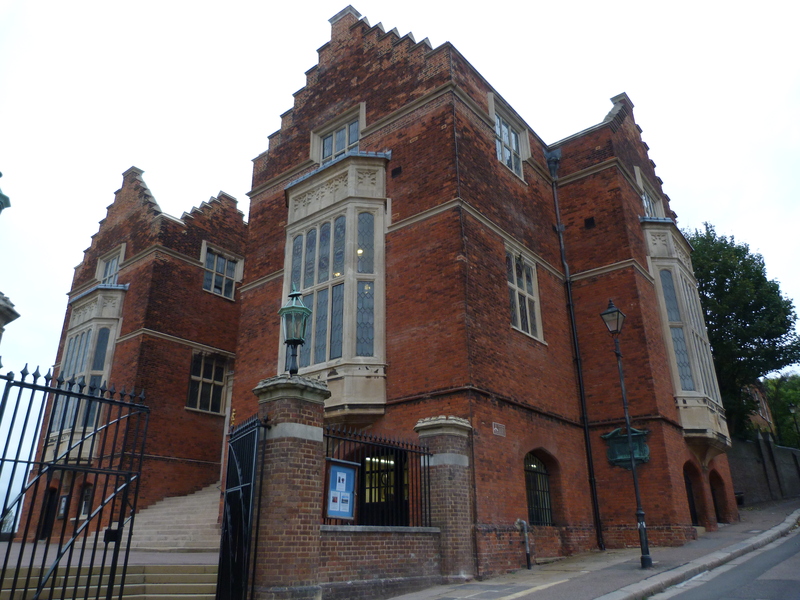 The oldest surviving part, the “Old Schools”, was built in 1615, and altered externally and extended, by Charles Robert Cockerell, in 1820 (one original classroom, the “Fourth Room”, still survives, its oak-panelled walls inscribed with the names of numerous famous old boys – among them Byron, Peel, Sheridan, Trollope and Churchill). 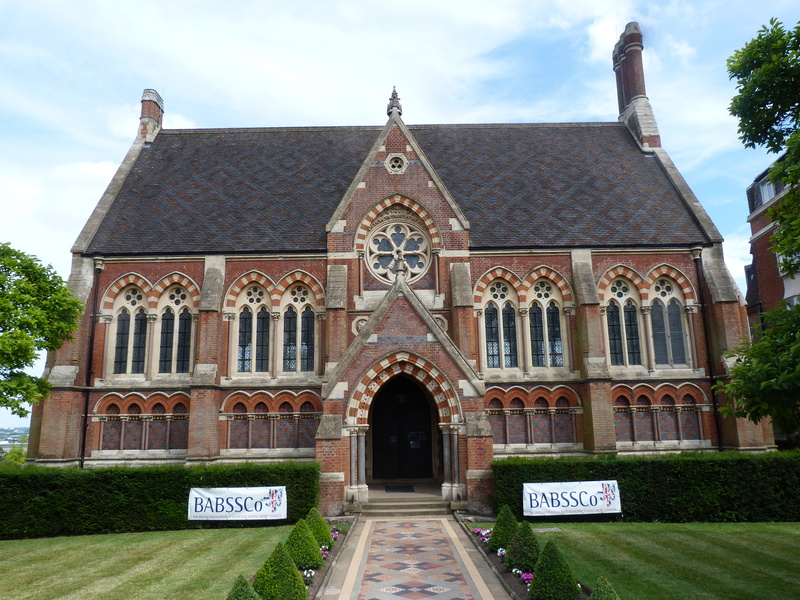 The Headmaster’s House, by Decimus Burton, was built in 1845; the Chapel, by George Gilbert Scott, in 1855; the Library of 1863, also by George Gilbert Scott, in 1863; “Druries”, by C.F. Hayward, in 1865; and the new Speech Room, by William Burges, in 1877 (the old Speech Room was converted into an art gallery and museum in 1976, at the same time the new dining hall was built). The Physics Schools were built in 1971; and the Churchill Schools (Design Technology) in 1988. The surrounding 360-acre grounds include a lake laid out by Lancelot “Capability” Brown in 1767, playing fields and a nine-hole golf course! 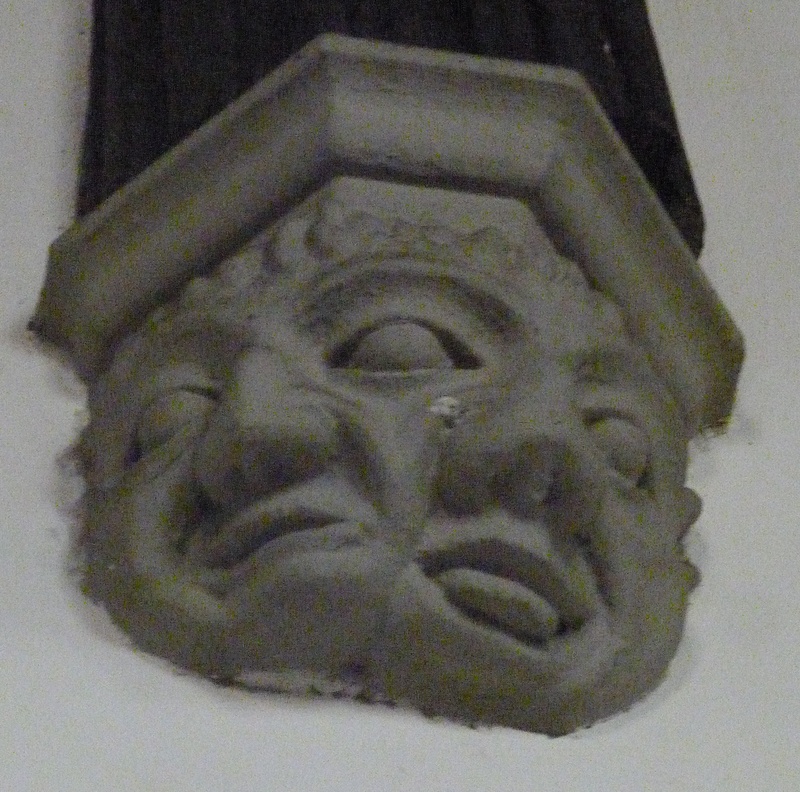 This entry was posted in Far flung London, London churches of note outside the City of London, Saxon and tagged Harrow School, St Mary Harrow on July 14, 2015 by Bob Jones - The Lost City of London. What a wonderful history of a very old school. Thank you.